So far, Google Wallet has not lived up to the hope that it had when launched. So far, it is only available on one device, the Google Nexus S 4G from Sprint. In addition, the Sprint version of the Samsung GALAXY Nexus will be released soon and that handset is expected to also support Google Wallet. The latest rumored launch date for the phone is April 15th. 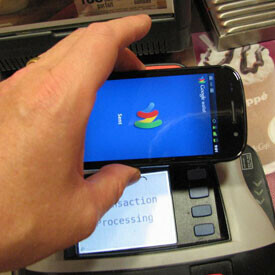 During 2012, Sprint is expected to offer ten devices that will support Google Wallet. 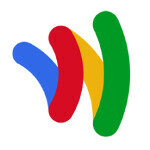 But for Google Wallet to be a success, it needs to broaden its support to other carriers. One way of doing this would be through a plan that Google is considering. According to "internal sources," the Mountain View based company would agree to share its Google Wallet revenues with Verizon and AT&T. This would give the latter two carriers a monetary incentive to see Google Wallet succeed. But there is a hang-up with this plan. Verizon and AT&T along with T-Mobile are part of a competing mobile payment system called ISIS. And while ISIS has yet to launch, it already seems to be ahead of Google Wallet thanks to a number of partnerships that the start-up has entered into. But Google didn't get to where it is now by not thinking ahead. The company has a back-up plan and if the carriers refuse to join the Google Wallet team, Google will forget about them and instead, put up payment terminals that would send payment information directly to Google's servers thus eliminating the need for the carriers. The only problem there is that these terminals would require more of an investment from Google. Hopefully for Google, the carriers will agree to the revenue sharing plan, although that is far from being a sure thing. After all, ISIS will soon be launching and as we said, it appears to already be where Google Wallet needs to go. Doesn't Google realizes carriers don't want to share, want all profits to themselves. Sorry G, you dropped the ball. I just don't see why people get excited about this. I don't understand why people wouldn't be excited. This technology is the future!As a Verizon galaxy nexus user I can attest to the simplicity and ease that Google wallet nfc transactions bring to my life. I don't care if its Google or Isis. I just want one of them to be used everywhere. And fast. And if you live in Japan this has been reality for years. The one problem I have with Google Wallet is that there are hardly places with Pay Pass. The only places that I've seen have it are Burger King and McDonalds, all the retail stores, malls, grocery stores and whatever, just don't have it. As much as I love Google Wallet, it's practically useless to me. Like Hunt3rj2 said, that technology has been in Japan for years. And sadly, this won't be a popular thing until Apple puts it in one of their next iPhones. If Apple did this type of technology in their iPhone. They would have done it right. I love the fact that Apple doesn't allow the carriers to get involve in their products. The carriers are at the mecry of Apple, they can do whatever they want to. Now Google on the other hand, love them but when you let Verizon mess around with the Galaxy Nexus. You drop the ball.